Nora-BE® is classified as a mini pill since it doesn’t contain two hormones like the combination pills many of us are most familiar with. Just like combination pills, however, Nora-BE® is used for the prevention of pregnancy. The mini pill contains a very small amount of progestin which is the hormone progesterone in a synthetic form. It does not however contain estrogen in any form. There are 28 pills in the mini pill birth control packs and taking them at the same time each day is even more imperative with these than with combination pills. You do not want to skip or take any late since the steady stream of hormones will be interrupted and pregnancy could result. There are many mini pill brands, but one particularly popular one is Nora-BE®. Nora-BE® birth control helps prevent pregnancy by making the uterine walls thick and also making vaginal fluid thick as well. In these two ways it makes implantation and even fertilization less likely. Sperm cannot travel very efficiently through thick fluid and a fertilized egg needs a softer lining in order to attach and implant. About half of all women taking the mini pill will no longer ovulate. For the other half though, this does mean that an egg will be released. This is one may different between Nora BE® birth control and combination pills. Most women taking an estrogen and progestin combo actually no longer release an egg. A benefit of the mini pill is that it’s a good option for women who are currently breastfeeding but would still like to use a form of oral contraception. These pills are approved for use while breastfeeding by the Centers for Disease Control, the World Health Organization, the American Academy of Pediatrics, the American College of Obstetrics and Gynecologists and Planned Parenthood. While the mini pill still effective for pregnancy prevention, it is not as effective as combination pills and additionally, the thickening of the vaginal fluid only lasts for around 24 hours after taking the pill. This is why taking Nora-BE at the same time each day is so imperative. What most people wonder is exactly how effective the mini pill is in preventing pregnancy. If you are breastfeeding a child (the whole time with no formula or solid food), have not had a period and are taking the mini pill as noted on your prescribing information, you are nearly 100% covered. For those who are not breastfeeding, the pill is between 91 to 99% effective. If you miss a pill at any point you are at risk of becoming pregnant. That risk is even higher if you are not breastfeeding. 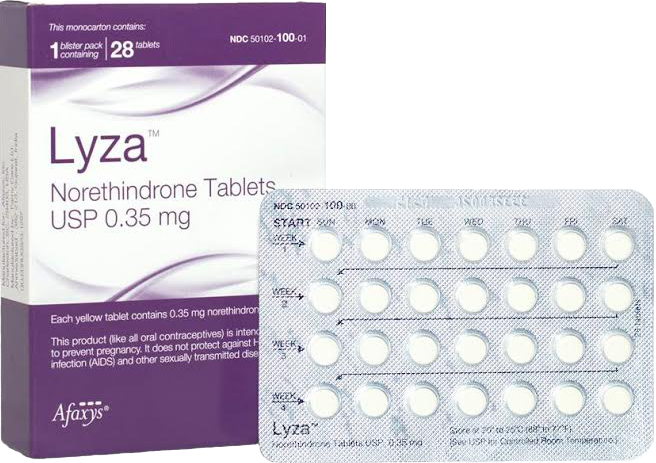 One benefit of Nora-BE® birth control is that if you decide that you would actually like to try and become pregnant, you can simply stop taking the medication. Within 24 hours after stopping the medication you should theoretically be able to become pregnant. It’s best to speak to your physician. Some advocate waiting to try to become pregnant until you have had a few normal periods while others will say you can go ahead and start trying at any time.